How do you know you're buying the perfect diamond for your special someone? Come to C.W. Smith Jewelers. We've hand-selected each diamond we own. They are absolutely the finest cut diamonds available, and each has been strictly graded for color and clarity. 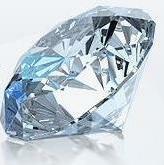 We've already rejected the hundreds of inferior diamonds that do not meet our rigid standards. Now it's time to compare and choose. We'll show you a large selection of diamonds tailored to your desires. We’ll take the time to educate you on what to look for. You'll be able to compare them side-by-side and choose the perfect diamond, without any guesswork. A diamond is purchased for one reason - it's beauty to you and the wearer. It is meant to reflect a special moment in your life. By visually comparing our large selection and examining each diamond, you'll be sure you've chosen the perfect diamond, at a price you can't find anywhere else.